The Kirgis Fellow program is a mentoring program designed to assist first-year and transfer students with the adjustment to law school by providing guidance and advice about academics, the job search process, and life in Lexington. The Kirgis Fellows are upper-level law students who mentor a first-year, small-section class, with two Kirgis Fellows, one male and one female, assigned to each small section. Transfer students also have Kirgis Fellows, which include both former transfer students as well as second-year students. Kirgis Fellows play a large role during Orientation and share their perspective as experienced students throughout the year. Over the course of regular meetings, Kirgis Fellows meet with first-year students to discuss study strategies, summer jobs, law school exams, coping with the stress of law school, and the traditions that make W&L Law unique. In addition, Kirgis Fellows are available throughout the year to answer questions and to provide support to first-year students. Students are encouraged to keep in touch with their Kirgis Fellows and ask for help and advice as they encounter questions and challenges during their first year of law school. 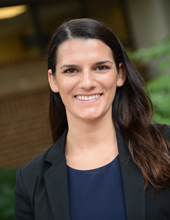 Caroline Diemer is a rising third-year law student from Richmond, Virginia. She graduated from Georgetown University in 2014 with a B.A. in legal studies and government. While at Georgetown, Caroline interned in-house at Albemarle Corporation, a NYSE specialty chemicals company. She also worked as a research assistant for two professors at Georgetown University Law Center. Caroline then wrote a capstone thesis on experiential based learning in legal education. Prior to attending W&L Law, Caroline worked for two years as a corporate paralegal for Proskauer Rose LLP in DC. During her 1L summer, Caroline interned in the Office of Chief Staff Attorney at the Supreme Court of Virginia. This summer, Caroline returned to DC and is working as a corporate summer associate for Morrison & Foerster LLP in Northern Virginia. In addition to being a Head Kirgis Fellow, Caroline is the Managing Editor of the German Law Journal. She traveled to Germany this past spring for Professor Miller's Transatlantic Seminar with eight German and eight American students. School aside, Caroline loves hiking, running on the beach in Kiawah, and her yellow lab, Omaha. Sally Harper is a rising third-year law student from Oklahoma City, Oklahoma. She graduated from the University of Oklahoma with a major in Marketing and a Nonprofit Organizational Studies minor. While at OU, Sally started the campus chapter of a student led nonprofit called Dream Outside the Box. She was a member in the JCPenney Leadership Program in the business college and through that organization spent time serving on local nonprofit boards that served the Norman community. Sally spent a summer au-pairing in Italy and a semester studying French and International Business in Paris. Sally spent the first half of her 1L summer interning in the District Attorney's office in the Juvenile division in Oklahoma City. In July, she split her weeks between an immigration firm and a guardian ad litem nonprofit. During her 2L summer, Sally is spending the first half of her summer interning with the Department of Justice, Civil Rights Division, Special Litigation Section; she will spend the second half interning with the Jefferson County District Attorney's Office in Birmingham, Alabama. In addition to being a Head Kirgis Fellow, Sally is a Spring Competition Chair for the Moot Court Board, a Lead Articles Editor for Law Review, and a member of both the Women0 Law Students Organization and the Christian Legal Society. She enjoys participating in flag football with the law school in the fall and cheering on the Sooners every Saturday. Sally likes traveling, hiking, and day trips to Charlottesville to go to Target. Joe Barton is a second-year law student from Incline Village, Nevada. He graduated from the University of California-Irvine (UCI) in 2017 with two B.A. 's in Economics and Political Science, and a minor in Spanish. While at UCI, Joe worked for UCI Police Department, and served as a Resident Advisor to the Campuswide Honors Program dormitory and wrote a thesis on Airpower in Counter-Insurgency operations with a conflict economic model. He also received his commission as Second Lieutenant as a distinguished graduate of the Air Force Reserve Officer Training Corps at the University of California-Los Angeles. Joe came straight through to W&L Law after graduation/commissioning as an Educational Delay officer in the Air Force Judge Advocate General's (JAG) Corps. During his 1L summer, Joe went on Active Duty to the Beale Air Force Base, CA Base Legal Office as a Military Intern. Outside of his role as a Kirgis Fellow, Joe is a Co-President/Founder of the International Law Society, Vice President of the Washington & Lee Veterans' Advocates, and Director of Recruitment for the Federalist Society. In his free time, Joe enjoys hiking, traveling, shooting sports, being an Assistant Scoutmaster to Lexington Boy Scout Troop 29, and running with his beagle, Dwight. Morgan Richter is a second-year law student from Cleburne, Texas. He graduated from Goucher College in 2016 with a degree in History. While at Goucher, Morgan participated on the collegiate swim team, earning All-American status in the 200 butterfly. During his 1L summer, Morgan worked in Kyiv, Ukraine with USAID New Justice. Here, Morgan submitted a report to the Council of Europe proposing an amendment to the ‘Rule of Law Checklist' and helped design an investigational process to be implemented in Ukrainian law schools for Honor Violations. 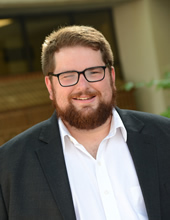 In addition to being a Kirgis Fellow, Morgan is the Executive Committee representative for his class, a Junior Editor for the German Law Journal, and the Vice President for the International Law Society. In his spare time Morgan enjoys intense games of Marco Polo, discussing the state superiority of Texas and participating in 3-legged races with his dog Nevar. Leilani Bartell is a rising second-year student at Washington & Lee University School of Law. She was raised in Chantilly, Virginia and completed her B.A. at James Madison University. At JMU, she majored in Political Science, and she also studied philosophy and Latin. Leilani also spent time at JMU on the executive board of the philosophy honor society and the pre-law chapter of Phi Alpha Delta. She graduated from JMU in 2017 and went straight to W&L. At W&L, she is a member of the Women Law Students Organization. During her 1L summer, Leilani worked in Richmond, Virginia. She split her summer between Troutman Sanders and Capital One's in-house legal department. She also had the opportunity to attend the Leadership Council on Legal Diversity Summit in Philadelphia, Pennsylvania through the LCLD Scholars program. Outside of school, Leilani enjoys cooking, brunching, and playing with everyone's puppies at W&L Law's seasonal sporting events. Whitney Davis is a second-year law student from Asheville, NC. She graduated from Covenant College in 2014 with a BA in History and Political Studies. While in undergrad, Whitney occasionally taught self-defense classes for women, and helped run the student intramurals program. She wrote her undergraduate thesis on Great Britain's WWI era law and policy concerning the use of front line reporting as propaganda. After college, she worked for two years as a legal assistant in Chattanooga, TN, and volunteered with a local youth group. While working, Whitney researched mid-century Georgia death penalty cases for local attorney Sam Gowin. She also participated in pro bono work for Bridge Refugee, a Tennessee non-profit dedicated to aiding refugees. During her 1L summer Whitney interned for the Office of the State's Attorney for Baltimore City, Maryland. Aside from being a Kirgis Fellow, Whitney is a research assistant, vice-president of the Christian Legal Society, and a member of the Women Law Students Organization. She enjoys LSFL in the fall, softball in the spring, trying to find the best BBQ in Virginia, and historical documentaries. She is thrilled that the movie theatre in Lexington accepts MoviePass and has high hopes of making good use of it as a 2L. Loren Findlay is a second-year law student from Clinton, New Jersey. She came straight through to W&L after graduating from Rutgers University with a double major in Political Science and Criminal Justice. During her 1L summer, Loren worked as a judicial intern for the Honorable Judge Vincent Papalia in the United States Bankruptcy Court for the District of New Jersey. 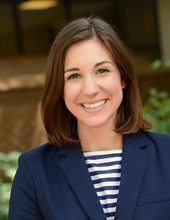 Here at W&L, Loren is a Staff Writer for the Washington & Lee Journal of Civil Rights and Social Justice, and a member of Women Law Students Organization, Business and Law Association, and Pro Bono Club. When Loren is not at Sydney Lewis Hall, she enjoys running (to counteract all the pasta she eats), cooking (or eating the cookies her roomie Meg bakes), and a good (preferably large) glass of wine. Maria Liberopoulos is a second-year law student from Mt. Olive, NJ. She graduated from Penn State in 2015 with degrees in Political Science and Public Relations. Prior to starting law school, Maria worked in sales in Manhattan for two years. During her 1L summer, Maria interned for Judge Susan D. Wigenton at the United States District Court for the District of New Jersey. Here at W&L, she is a Staff Writer for The Washington and Lee Journal of Civil Rights and Social Justice, a Law Ambassador, and a member of the Women Law Student Organization. Outside of school, Maria enjoys watching every Real Housewives series that Andy Cohen has blessed us with, pretending to work out, and watching Penn State football (Can I get a WE ARE?!). 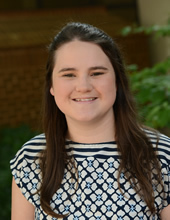 Courtney McMullan is a rising second-year law student from Jackson, Mississippi. She graduated from the University of Southern Mississippi in 2015, where she majored in Communication Studies and minored in French. While at USM, Courtney was a member of the Honors College, an orientation leader, a study abroad peer advisor, and president of the International Club. She studied abroad in London during the summer of the Olympics and spent a semester in Pontlevoy, France. Following graduation, Courtney worked for a study abroad company, taking students from the US on programs throughout Europe. 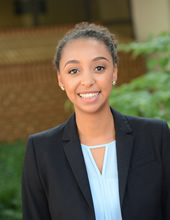 During her 1L summer, Courtney worked as a law clerk at Blue Ridge Legal Services in Harrisonburg, VA. Outside of her role as a Kirgis Fellow, Courtney is Secretary of the Women Law Students Organization, a Law Ambassador, and a Staffwriter for the Washington and Lee Law Review. In her free time, Courtney enjoys eating her way through Lexington, playing with other people's dogs, and traveling whenever possible. John Milani is a second-year law student from Armonk, New York. John graduated from Cornell University in 2017 with a degree in Industrial and Labor Relations. While a student at Cornell, he served as President of the ILR Global Affairs Club, and was a member of the ILR Leadership Council and the Alpha Delta Phi fraternity. During his 1L summer, John was a Summer Associate at Epstein Becker & Green in New York City. In addition to being a Kirgis Fellow, he is a Sports Czar and a member of Phi Alpha Delta. When he's not studying, John loves reading, playing squash, Yankee baseball, and Canton Chinese in Buena Vista. Madison Peace is a rising second-year law student from Greenwood, South Carolina. She graduated from The King's College in New York City-where she majored in Politics, Philosophy, and Economics-in 2012. 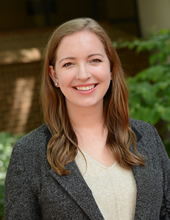 During her time at King's, Madison was a member of the House of Truth (think Harry Potter), a member of the Interregnum Committee, the Director of Student Events, and Student Body President. After graduating from college, Madison worked as the assistant to the editor at National Review, where she conducted research for a book about Abraham Lincoln. She then served as the director of communications at a small non-profit in New York City. In 2015, she was a Robert Novak Journalism Alumni Fellow and completed a project entitled, "Breaking free: The damaging effects of incarceration on the family and how prison reform can help stop the cycle of intergenerational crime." Completing that project led her to law school. During her summer before law school, Madison worked with a portrait photographer in New York City to photograph and record the stories of 30 formerly incarcerated men and women. During her 1L summer, Madison participated in the Blackstone Legal Fellowship and worked in the Criminal Appeals Division of the Texas Attorney General's Office in Austin. 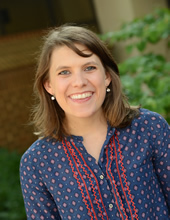 At W&L, Madison is a staff writer for the Journal of Civil Rights and Social Justice and is active in the Christian Legal Society and The Federalist Society. In her free time, Madison enjoys cooking, biking, reading poetry, going to art museums, and listening to jazz. Charlie Richards is a second-year law student from Maitland, Florida. 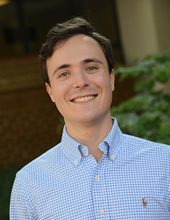 He came straight through to W&L after graduating from the University of Georgia in 2017 with a major in Journalism, and minors in Communication Studies and Geography. While at UGA, Charlie was a member of UGA HEROs and taught percussion at a local high school. Austin Scieszinski is a second-year law student from Janesville, Wisconsin. He graduated from the University of Wisconsin-Madison where he majored in finance and accounting. During undergrad, Austin studied abroad and was involved with the Hoofer Ski and Snowboard Club. He also spent most days with temperatures above 60 degrees studying or socializing at the Memorial Union Terrace. Upon graduation, Austin worked for a real estate company in Wisconsin. He then went on to work in asset management in Chicago. These positions involved financial modeling, financial analysis, and advising on strategic initiatives. Austin was attracted to W&L because of the unique, collegial community of the law school; the experiential focus of the curriculum; and the beauty of the Shenandoah Valley. During his 1L summer, Austin was a summer associate at Quarles & Brady LLP in Milwaukee. This opportunity exposed him to many different areas of law and allowed him to grow his research and writing skills. At W&L, Austin is a law ambassador, a staffwriter for the Washington and Lee Law Review, and a big fan of the soups in the Brief Stop. In his free time, Austin enjoys watching the NHL, cheering on America's Team-the Green Bay Packers, and exploring Virginia. Megan Williams is a second-year law student from Clinton, NJ. Megan graduated from University of Pittsburgh in 2017 with a degree in Political Science and minors in French and English Writing. While at Pitt, Megan served as President of her sorority, Chi Omega, and was a dedicated employee of Pitt's on-campus mailroom. During her junior year, Megan studied abroad in Paris, France, where she studied French Language and History and frequently bothered her local crêpe guy. During her 1L summer, Megan interned for Judge Michael A. Shipp at the United States District Court for the District of New Jersey. Here at W&L, she is a Junior Editor for The German Law Journal and the Vice President of Pro Bono Board in addition to being a Kirgis Fellow. Outside of school, Megan enjoys watching Wild n Out with her roommate, Loren, walking on the treadmill while scrolling twitter (aka fitness), and advocating for her beloved home state (NJ has better pizza than NY don't @ me).